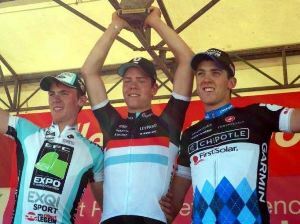 Cycling Southland's Tom Scully has claimed a podium finish in the prestigious Paris-Roubaix U23 race this morning. Scully finished in third place becoming the first New Zealander to record a top three result in the event's 46 year history. The 179 kilometre course covers a similar route to that of the professional version with a total of 27 paved areas covering a total of 40 kilometres and finishing on the famous Roubaix velodrome.